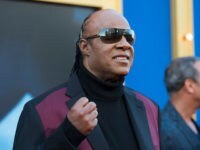 Singer Stevie Wonder stressed his belief that “we must have stronger gun laws” when he spoke at the memorial service for Nipsey Hussle on Thursday. 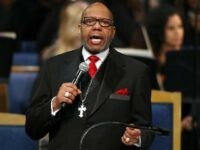 At a memorial service for murdered rapper Nipsey Hussle, legend Stevie Wonder called for stronger gun control as a solution to violence. 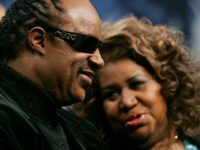 Singer Stevie Wonder blamed Global Warming for the cancer that killed legendary soul singer Aretha Franklin last week. 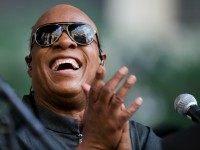 Stevie Wonder dropped to both knees ahead of his concert at the Global Citizen Festival in New York City Saturday, where he told the thousands in attendance he was taking a knee for America and both knees in prayer for the world and its leaders. 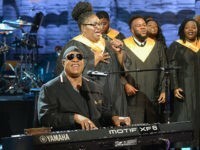 Stevie Wonder kicked off Tuesday night’s star-studded hurricane relief telethon with a shot at people who believe there is “no such thing” as global warming. 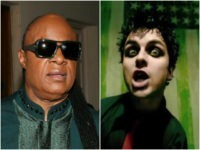 Stevie Wonder, Green Day, Pharrell Williams, The Lumineers and more are set to headline the Global Citizen Festival in Central Park on September 23, the festival announced Tuesday. 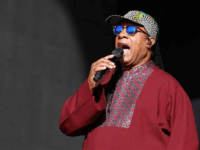 While addressing “gun violence” at a North Minneapolis Conference on Peace, musician Stevie Wonder said it is contradictory to say, “Black Lives Matter” while black-on-black crime rages out of control. 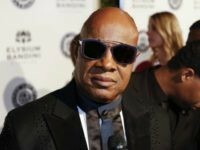 Musician Stevie Wonder branded those who attempt to associate the recent terror attacks with Islam “liars” during Sunday’s #OneLoveManchester charity concert. 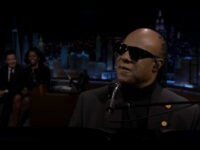 Michelle Obama joined Jimmy Fallon on NBC’s The Tonight Show for one final evening of games and jokes before her husband, President Obama, leaves office this month — and the departing First Lady also got a private concert from Stevie Wonder. 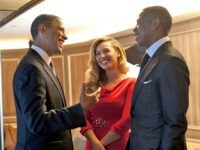 Beyoncé, Jay-Z, Kendrick Lamar and a whole host of other stars will be on hand Friday night at the White House to help celebrate President Obama’s 55th birthday, his last in office. First Lady Michelle Obama joined The Late Late Show’s James Corden on his popular viral skit show “Carpool Karaoke” Wednesday night, where the pair ran through hits from Beyoncé and Stevie Wonder, among others. 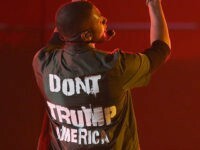 R&B artist Usher used his performance at Sunday night’s BET Awards to make a statement about the 2016 presidential election by donning a shirt featuring an anti-Donald Trump slogan on the back. 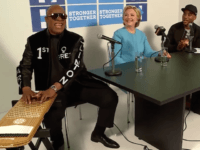 Democratic presidential frontrunner Hillary Clinton called on some of music’s biggest names for a star-studded concert at the Greek Theatre in Los Angeles Monday night, just hours before the polls opened for Tuesday’s critical California primary. 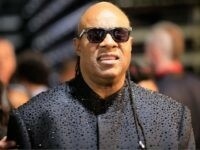 Madonna and Stevie Wonder’s tribute to Prince on Sunday night at the Billboard Music Awards was greeted with a blistering barrage of backlash on social media. Democratic presidential frontrunner Hillary Clinton will return to California on June 6, where Christina Aguilera, John Legend, Stevie Wonder, Ricky Martin, and Andra Day will host a star-studded “She’s With Us” fundraiser for her at the famous Greek Theatre. 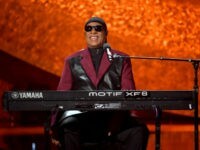 Stevie Wonder just wrapped up a series of three short concert in Philadelphia, New York City, and Washington DC, all of which he used as an opportunity to talk about his desire for more gun control in America.